We engage in manufacture and supply of tattoo grips. 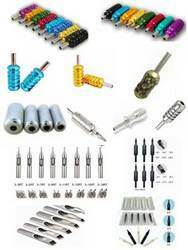 includes Stainless Steel Grips, Aluminums grips, Copper Grips, Nylon Grips for tattoo making. The Tattoo Grips offered by us, are available in different sizes and designs. We are involved in providing an extensive range of Tattoo Grips. Being a customer oriented enterprise, we are engaged in providing Tattoo Grips. We are amongst the most reputed names in the industry, offering Tattoo Grips. Being one of the reckoned enterprises in the market, we are offering Tattoo Disposable Grip. In order to meet excellent quality standards, we are supplying Tattoo Grips. We are engaged in offering Tattoo Grips. 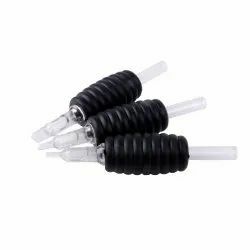 We are devoted towards offering an optimum quality of Tattoo Grip. With rich industry experience and knowledge, we are engaged in offering Tattoo Grips.